Christening is indeed the beautiful phase of social interaction and every parent wishes to make it special for their baby. 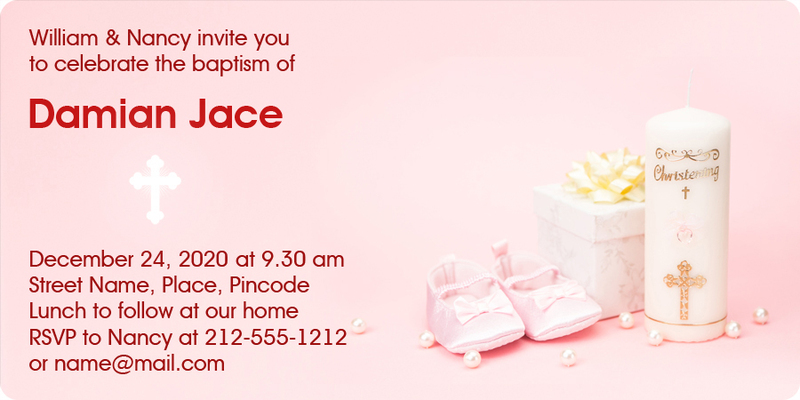 If you are one excited parent, wishing to make it special for your baby, don’t look further than this custom printed 3x5 inch christening invitation round corner full color magnets – 25 MIL. Made up of high quality magnetic material, this christening invitation magnet is expected to last beyond your kids first birthday and even more, thereby always inspiring the onlookers to shower their love and affection on him. 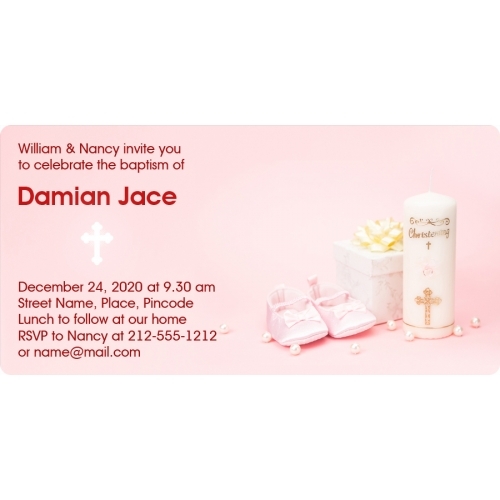 Request a quote to know price savings that you can expect to make on these personalized 3x5 inch christening invitation round corner full color magnets – 25 MIL. Imprint Method- Full-Color (Four Color Process), Pantone Color Match. Price includes printing in full-color (four color process) on one side. Pantone® color matches not available in full-color. Magnets are not intended for outdoor use. Write-on/Wipe-off surface not available.